Debbie Kepple-Mamros, Assistant to Vice president for Quad Cities & Planning Joe Rives discusses the Higher Values in Higher Education 2017-2027 document in the Student Government Association led by Patrick Quinlan . 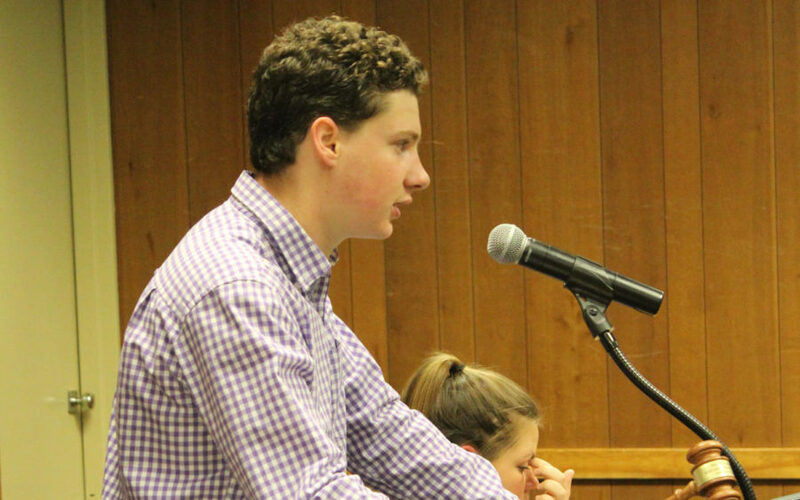 The Student Government Association had a guest speaker during their general assembly meeting on Tuesday. Debbie Kepple-Mamros, Assistant to Vice President for Quad Cities & Planning Joe Rives joined the meeting via Zoom to discuss the proposed Higher Values in Higher Education 2017-2027 document. Kepple-Mamros held the discussion to get the student body’s perspectives on different areas of improvement in the years to come to support Western Illinois University and the institution’s different goals within the upcoming years. The goals in this plan were expressed as maybe seeming off. They were intentionally done this way to provide leeway in hopefully getting these goals reached within the next 10 years. Within the plan it was expressed that Western hopes to stabilize enrollment at 10,000 students and get retention and graduation rates that place in the top 25 percent of peer institutions. “We really need to prioritize these goals, so our first prioritized goal is going to be enrich academic excellence, number two will be stabilize enrollment and number three will be support faculty and staff,” Kepple-Mamros said. With supporting our faculty and staff, the plan wishes to address Faculty Senate at Western and their previously brought up concerns with student to faculty ratio and wish to have a more solid number. However since the university wishes to be able to compete and stay up to date with those of the schools around us, they do not wish to put in confining numbers, so we can remain flexible to that of the surrounding institutions, according to Kepple-Mamros. Members of the Student Government Association pushed to have students involved in various task forces across the different goals of the Higher Values in Higher Education document in efforts to ensure students voices are heard when it comes down to making changes that would affect them. For example, in providing students with electronic services to give them real time support for online services. According to Kepple-Mamros, electronic advances could not be laid out due to the fact that technology grows with years to come and different possibilities could be assessed. Mobile student ID and online tutoring were topics that could possibly be implemented in years to come. The legislative session also consisted of light discussion on amendments to the Student Government Association Constitution. The association also went into an executive session when discussion of the UPI Local 4100 Chapter intending on proposing a strike. The SGA has previously passed legislation to not get involved with such issues unless they begin to conflict with the higher education of students enrolled at Western.